Just got out of drug treatment, what should I do next? I just got out of the hospital and detox and I don't know what to do next? I've been drinking and uses a lot of drugs for the last nine years and I REALLY want to quit this time. What recovery plan can I use to help me stop drinking and using for good? Any ideas you have would really help me! Comments for Just got out of drug treatment, what should I do next? Go to AA or NA DAILY! 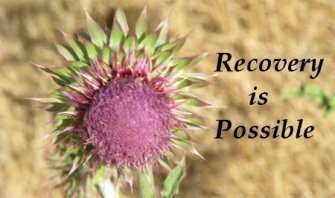 If you are serious about getting into recovery and being clean and sober, Alcoholics Anonymous is a good choice for you. It is designed to give you unconditional acceptance, support and guidance. The therapeutic community it offers is perfect for you. There are in nearly every community (http://aa.org) and all over the world. Pick up the phone and give them a ring. Find meetings where they work the steps and also find a good sponsor. Going to daily meetings can give you huge support in your recovery. There is an old saying in AA that is so true, "the steps work if you work them"! AA should allow you to make new sober friends and connect into a community that is there to support you in your journey. Also, find a church that has a good recovery support group(could be AA or Celebrate Recovery) and get involved. Connecting with your higher power is a critical part of recovery. Finally, when you're ready, become a sponsor for someone else. Helping someone else walk through the valley will help you too!